Stackable and perfectly portable, these 16-oz. 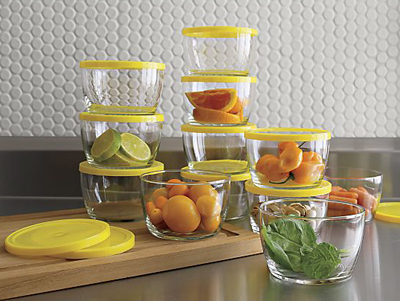 Bowls Set of 12 with Yellow Lids feature pint-sized, clear glass bowls ideal for storing and transporting leftovers. $19.95. Buy here.